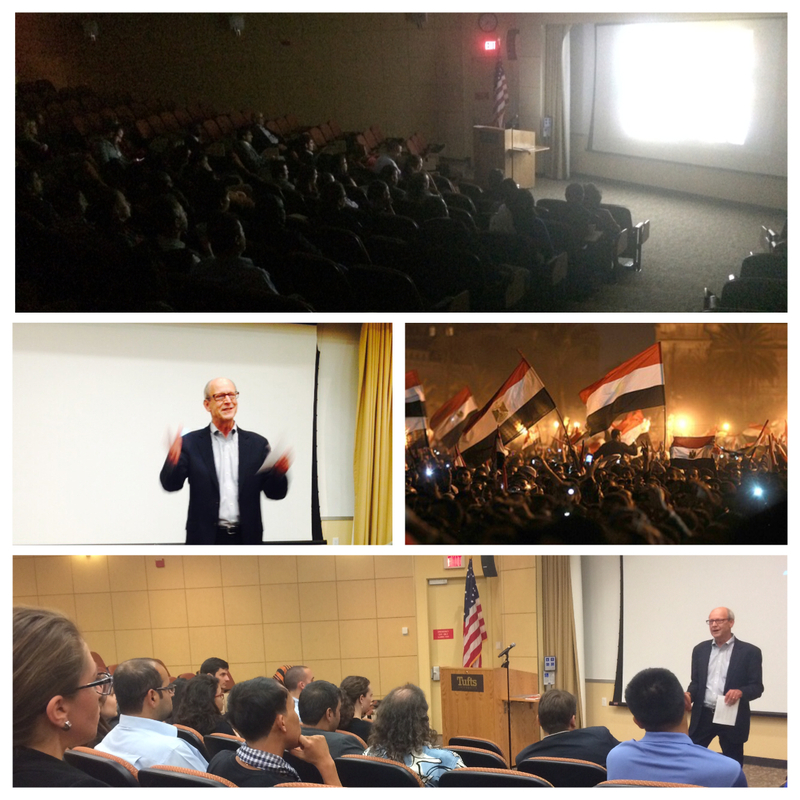 Film maker Steve York addresses questions and comments on the first public viewing of Egypt: Revolution Interrupted? Film maker Steve York addresses questions and comments during the first public viewing of Egypt: Revolution Interrupted? The first evening of FSI was marked by the premier of Egypt: Revolution Interrupted? A new documentary film by Steve York on the Egyptian Revolution. The film made its debut before an audience of roughly 60 activists, organizers, academics, and practitioners from around the world who asked questions and offered feedback after the screening. The film is perhaps the most analytical and in-depth look into how civil resistance became the driving force behind the social and political changes that occurred between the formation of the Kefaya movement in 2004, and the establishment of the current military regime led by General Abdel Fattah el-Sisi. “It was certainly very interesting to make a film looking at a case that wasn’t initially a success, it forces one to look back critically upon the actions taken and imposes a new level of self examination.” Stated Steve York in his opening remarks. Most of all the film is a stark reminder of the need for a movement to establish short term and long term goals during a struggle, the need to diversify tactics and methods, the need to further explore and understand the impact of civil resistance upon democratic transitions, and the protracted nature of nonviolent struggle. Although the film’s, overall message was not necessarily positive, it did leave one feeling like the current state of injustice in Egypt is unsustainable and that eventually Egyptians will prevail in the establishment of a true democracy. When will this film be available publicly? Official date still pending, probably before the fall. Stay tuned and connect with us via Facebook to get the announcement! The production of this documentary film is a wonderful news for us. It is more contextual in our situation and we can use it in our workshops.